Cani-Hiking is a power walking only class . No running ! Come learn new routes, socialise your dogs with others, learn the basics of Cani-Fit at a fast walking pace. Suited to those who for whatever reason can not or do not want to run! My name is Linzi and my dog is Indie. Some of you may know me from cani-cross races and CSE. 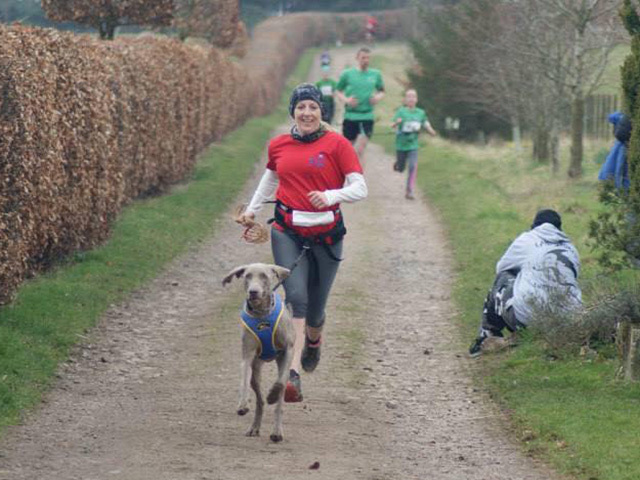 I've cani-crossed for a few years and love running with my dog as my teammate! We're looking forward to helping you learn and love cani-cross!